Anyone who was at Lollapalooza 2012, when a massive storm shut the festival down for hours and people dangerously flooded into the streets of downtown Chicago with no direction or purpose, knows life doesn't get much worse than that when it comes to music festivals. 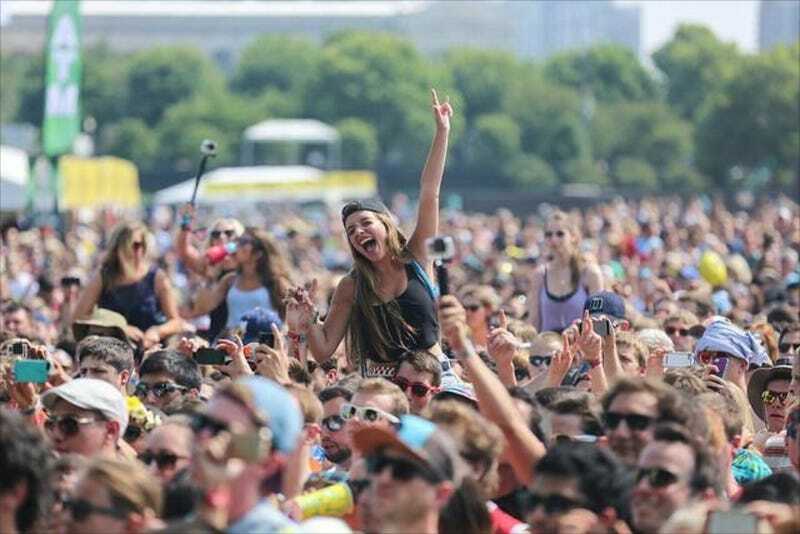 But for the average Lollapalooza attendee, the festival will be better this year, because they've banned selfie sticks. Chicagoist draws attention to Lolla's FAQs, which now says that along with things like weapons and explosives, you're also not allowed to bring "GoPro attachments like sticks, selfie sticks & monopods" into Grant Park. Which is a bummer if you were planning on boosting onto the shoulders of your man in order to properly praise Florence + the Machine as she does her witch magic, but then thought you'd snap a quick stellar shot of the teeming masses around you while you were up on your perch. Well, this year, just like, enjoy the moment, man.